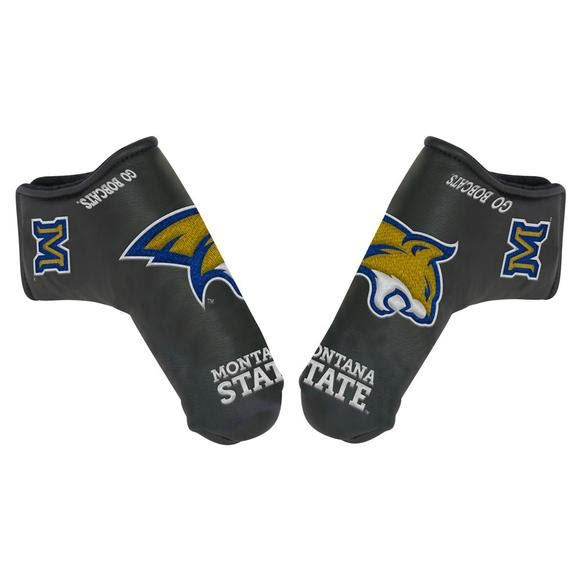 Show your Bobcat spirit with the official Montana State University Blade Putter Headcover that you can proudly display out on the course. Features high quality, soft-touch, water resistant outer material and soft fleece lining to reduce wear on your putter with hook and loop closure. Fully embroidered with team trademarks.